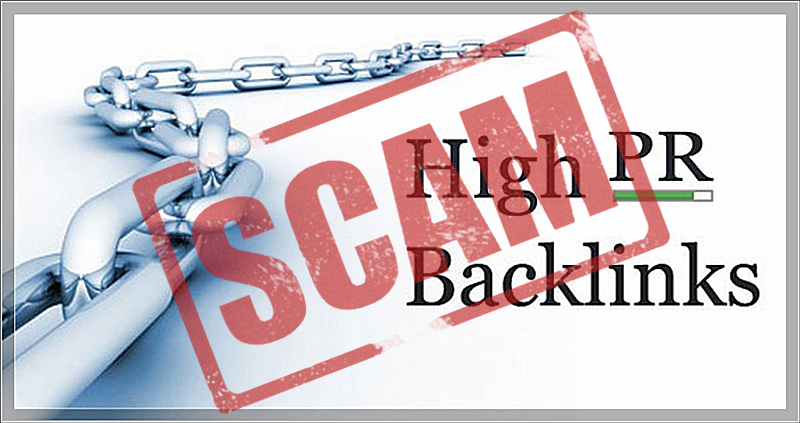 You should be aware that almost every so-called “SEO” company that exists today, or for the past 10+ years, is really a scam artist or organization of scam artists who make broad claims but really steal your money. 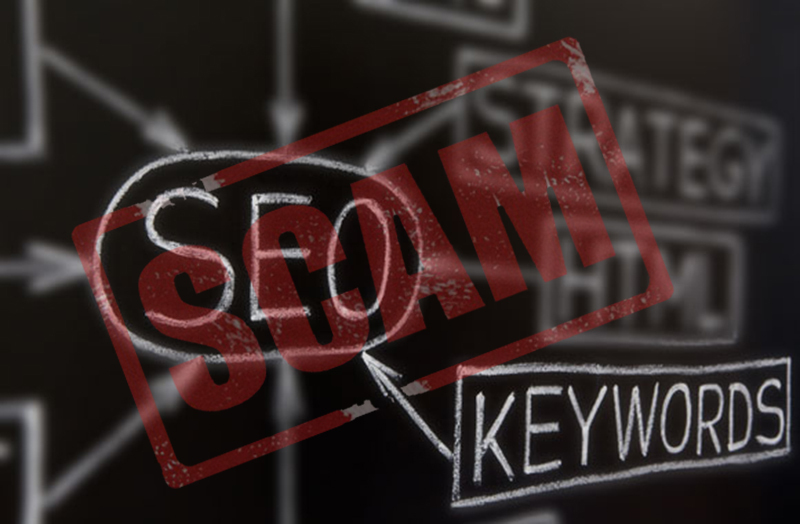 The scam essentially works by luring companies in by promising a boost in Search Engine rankings. SEO stands for Search Engine Optimization. But this scam has been so abused, it cannot be called “Search Engine Optimization” anymore; it should now be called “Scammer Enterprise Operations”. This is because the breadth and scope of this scam industry has become simultaneously so obsolete and large that virtually everyone has requests by some or other scammer trying to “partner” with you or sell you SEO services. The best ones will even give you PDFs with charts and graphs that might fool all but the most learned and skeptical people. The idea with Search Engine Optimization is that by optimizing a certain percentage of keywords found on your site and adding appropriate meta or other html tags, that this will magically trick the search engines into seeing your site as more valuable than another with the same content, so that will push you above someone else. Ten years ago, this worked – for a short while. However, as soon as google found out, that user was permanently banned from Google for using what we call “black-hat” and “grey-hat” methods of SEO which included keyword stuffing (putting hidden keywords into your site that can only bee seen by search engines) and massive spam backlinking (spammers would create thousands of junk sites with spam keywords all over them, and link them to your site to try to trick the search engines into thinking you have a lot of backlinks). There are many other illegal tricks used, all of which will not help your site but hurt your site. At one point, many years ago, keyword percentages and number of backlinks actually mattered. It was a determining factor for your search ranking. However, by using methods such as those listed and other grey-hat and black-hat methods, it wasn’t long before Google caught on, and first started banning everyone from Google entirely, but then started changing their algorithms so that those things were no longer a factor in your ranking. So the first thing you really need to know, is that if you hire any of these “SEO” scam artists (they are all scam artists), you are pretty much guaranteed to be banned from Google shortly after using them, or receive a drastic drop in rankings if you are not banned. This is because the only way you will improve by rankings is by “white-hat” methods. However, you should know that there are no white-hat methods in SEO that you can force to happen more quickly, or that can’t just do yourself. That is the first part of the scam. They are selling a service that does not exist, but that sounds complicated enough to fool most unsuspecting business owners and website owners. This brings me to the most important point of SEO scam artists. 99% of these “SEO” companies will take your money and then do absolutely nothing. They will tell you whatever you want to hear, and then provide excuse after excuse about how you “need to wait and it will move up eventually”, but really it only did this naturally. 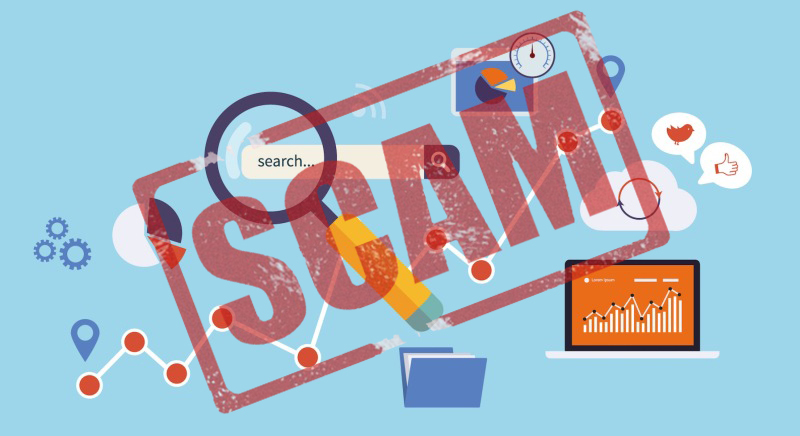 The SEO scam artists did nothing, stole your money, and there is no way to prove they did nothing. 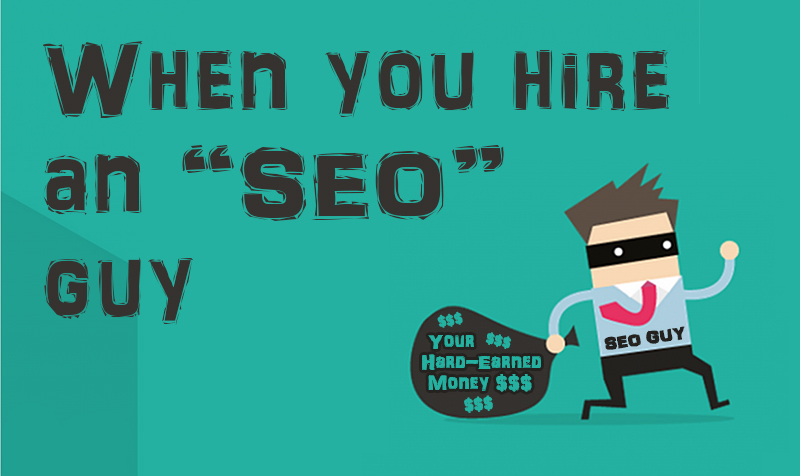 In short, never hire any SEO company no matter what!! Any web developer who is worth their salt will build a site that covers all the basic points of SEO like a quality website with quality content. It should be included free, in my opinion, because this is an essential part of web development, making sure your website is search engine friendly. No SEO company is going to be able to do any better than your web developer. “Keyword research” etc etc is all an elaborate scam. Are they doing something? Sometimes. But are they doing anything that will actually help you? No! So is there any SEO which works? Well, technically, yes, but it isn’t called “SEO”. It is called “making a quality website with quality content that lots of people find useful and relevant and waiting awhile for the website to grow”. Nothing that you cannot do yourself, and nothing that any SEO company can do for you. I will write a post about that later. The SEO industry, which is a complete scam – the entire industry is a scam – is based on basic truths (and some outdated things as well). However, the real truth is that if you spend your money with any SEO company, you will lose your money, guaranteed – and that’s only if they do nothing. If they do something, you will do worse than lose your money, you will hurt your business and possibly get permanently banned from Google, which could completely destroy your business.